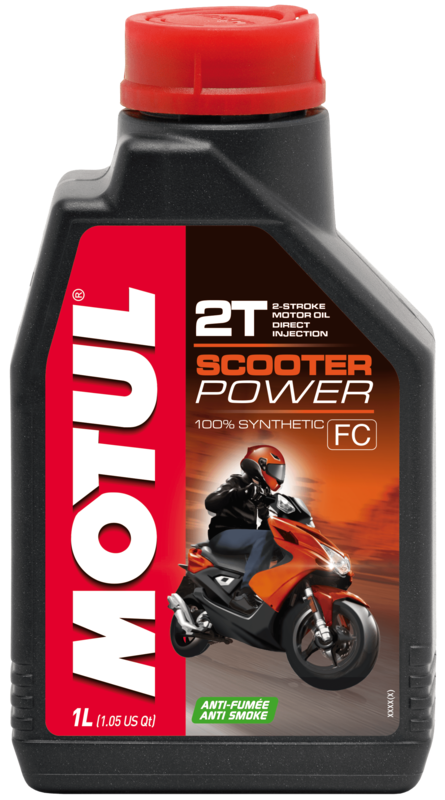 A 100% synthetic lubricant, the Scooter Power 2T is designed for 2 stroke scooter engines with a premix or injector lubricant system. This oil performs under high load and also high revs. This oil has high lubricating properties which decrease wear and also friction. In turn this improves output in power and also reduces internal engine friction. Due to the formulation of this oil, emulsion build up in the compressor and is also avoided.